Top 3 Benefits Of WaterJet Cutting | Antech Technologies Inc. 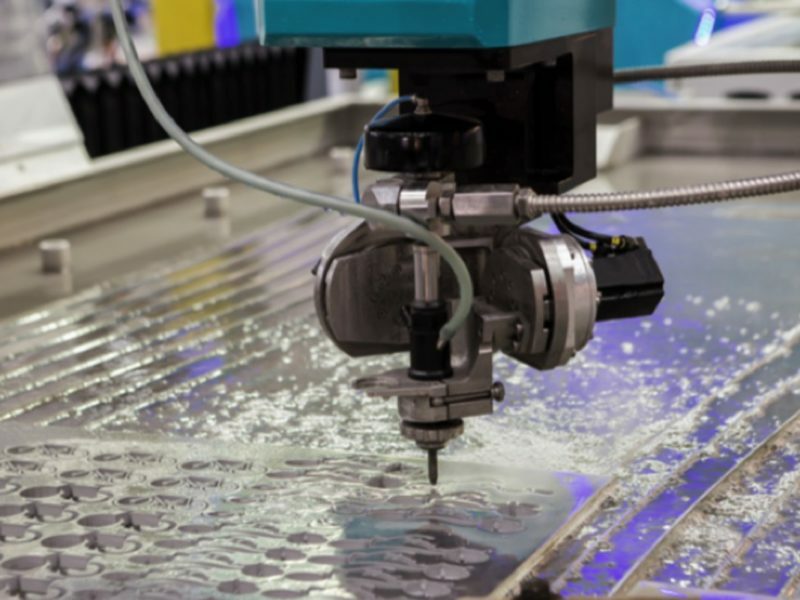 In the world of CNC manufacturing, there are many ways to cut materials like stainless steel. CNC cutting and plasma cutting are quite popular – and while they are useful, they often fall short when extreme precision is required. Water jet cutting is a fantastic alternative to these traditional CNC options. Using a high-powered stream of water, these machines provide incredibly precise cutting – without many of the disadvantages of other cutting methods. If you need precise craftsmanship with low tolerances, waterjet metal cutting is the best choice for you. Why? 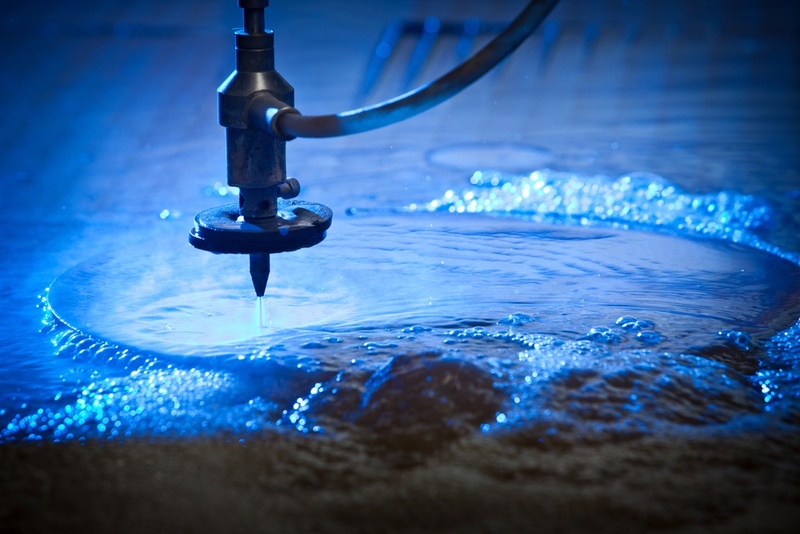 Let’s look at 3 great reasons why water jet cutting services provide better results! Plasma cutters, flame cutters, and laser cutters are all very precise – but due to their design, they heat up the materials that they’re cutting. Depending on the material, this can lead to distortion, melting, and warping of the edges – which is far from ideal when working on a very precise CNC manufacturing project. Waterjet cutting, on the other hand, does not produce any heat in the affected zone. This means that most waterjets can cut materials to a tolerance of ± 0.005″ – without any heat-induced warping. By adding or reducing the amount of abrasive material in a waterjet cutter, it can be used to cut almost any material. With pure water, materials like textiles, thin plastics, elastomer, and even food products can be cut using a water jet. When rough abrasive materials are added, water jet cutters can easily cut through hard materials like stone, ceramics, metals, and even bullet proof glass. This versatility makes waterjet cutting a fantastic choice, and provides increased manufacturing flexibility. Other cutting methods tend to create dusts, grindings, and other hazardous materials. 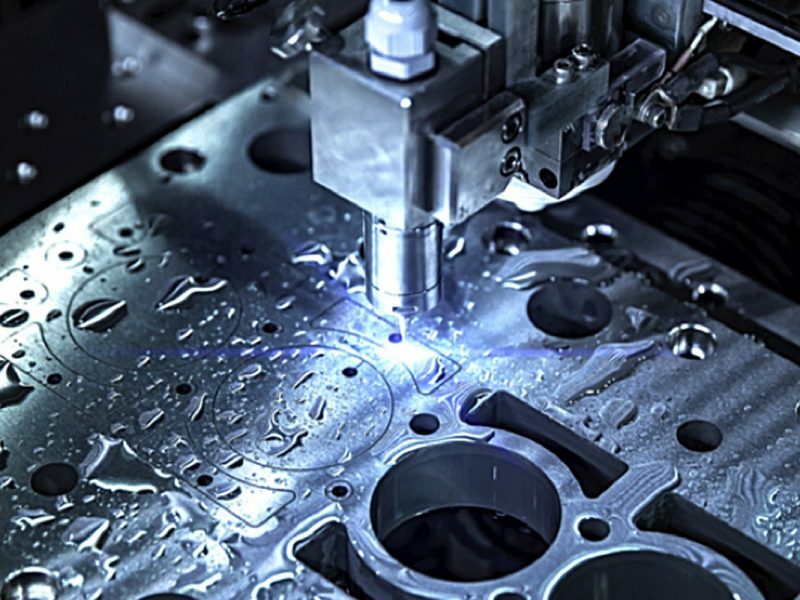 Lasers and plasma cutters, in particular, tend to “vaporize” small amounts of material when cutting, which can lead to some serious environmental hazards. However, water jet cutting minimizes the risk of these hazards. Harmful dust and chips are carried away with the water – without cutting oils and emulsions required. This also means that water jet cutting is friendlier to the environment. Because the process results in lower levels of waste, there are fewer dangerous raw materials that must be dumped in landfills. Need Waterjet Cutting Services In Toronto? 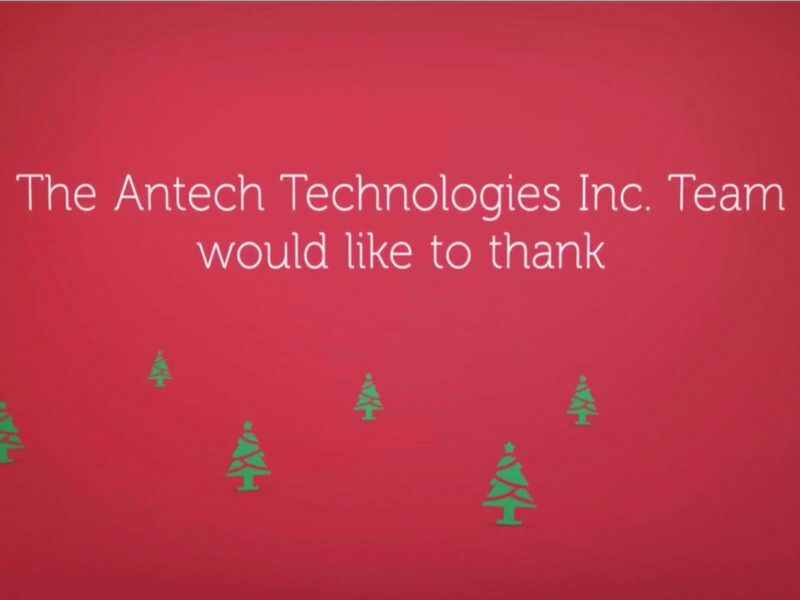 Choose Antech Technologies! If you need water jet metal cutting services, Antech Technologies is the best choice! We can help your company benefit from the precision and flexibility of water jet cutting services in Toronto. But that’s not all! 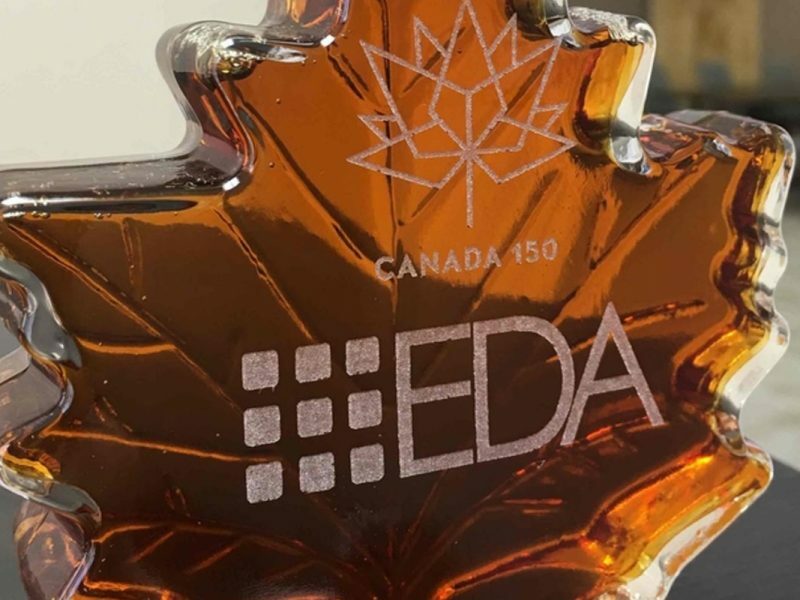 Antech Technologies also offers laser services like laser etching, laser cut letters acrylic, and photo engraving in Toronto! We always provide fantastic results, and we’re totally dedicated to quality. If you’re not satisfied, we’re not satisfied! So trust our expert team to take care of all your needs – whether you need waterjet cutting services or laser cutting in Toronto! Contact us now!